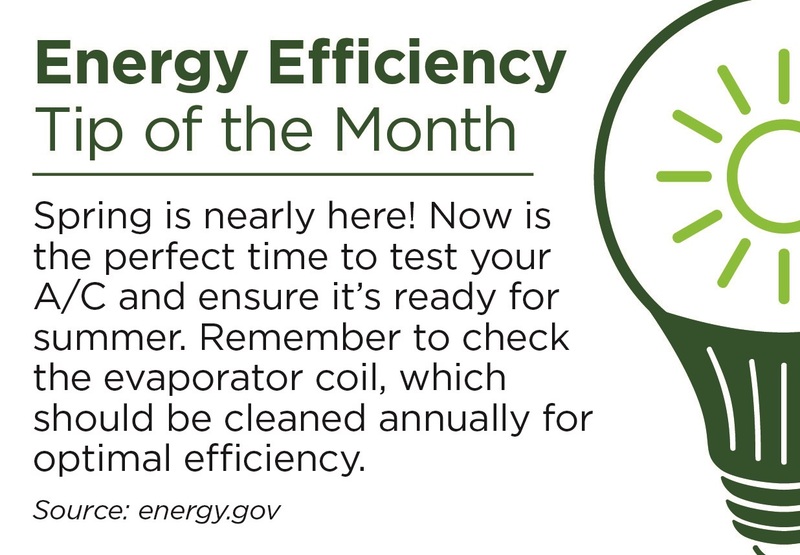 Your electric cooperative wants to help you with decisions about which specific energy efficiency and conservation tools may work best in your situation. Energy saving measures that you integrate or install in your home or business may qualify for ENERGY STAR rebates through the ENERGY SENSE program offered through JREC. See the Energy Sense Rebates tab on this site for full details of this program and rebate forms. We also want to share several additional "tools", or resources available to assist you in your quest for energy efficiency and conservation in your home or business. • Take an energy saving home tour at www.togetherwesave.com. • Try using the microwave instead of the stove or oven to heat food. • Take shorter showers and install low flow showerheads. • Hang laundry outdoors to dry or use a drying rack. • Avoid or limit using individual space heaters. • New detergents are formulated for cold water washing—give it a try! • Turn off powerstrips to televisions, computers, chargers and game consoles. • Adjust your thermostat by a couple of degrees warmer in summer and cooler in winter, or get a programmable thermostat. • Consolidate contents from multiple freezers for better efficiency and unplug the spare. • Be vigilant about fixing dripping faucets or a leaky water heater. • Try using a timer on a swimming pool pump—trial and error will help you find the right balance. • Unplug the spare fridge in the garage or shop—vintage refrigerators are notorious energy hogs! Make your "To Do" List and start enjoying your savings today! Did you know it costs less to produce electricity for your use during certain hours of the POWER DOWN day, days of the week and seasons? It’s true! Because consumers use less power on weekends, holidays and overnight, it is less costly to produce adequate power during those hours because our providers can utilize the most efficient production methods. During the highest electricity use times of day, our power providers must use all varieties of production available to them, and so the overall cost of production goes up. Throughout the summer months of June, July and August, our region’s power costs are highest on weekdays between 11 a.m. and 7 p.m. Pick up or download a free copy of the "Use Energy Wisely" booklet. This informative booklet will guide you through a more complete self-assessment of your family's unique energy needs in your home. The booklet includes an extensive, detailed list of appliance and equipment electric use amounts and a convenient calculator to estimate your cost. Learn which individual appliances cost you the most, how much electricity some of those "phantom" electronics consume and where you can save energy. Check out an electricity usage monitor at JREC or local library. You can easily measure by the hour, day, month, or year to figure your costs. Web Tools at Your Fingertips! Here are some energy efficiency/conservation websites that can provide you with more conservation ideas and energy saving tips. There are a number of resources available online where your child can learn more about energy conservation and electrical safety. Be sure to check these sites out. Stop by our office and pick up a booklet on how your child can become an Energy Star as well as one of our electrical safety coloring books!